WORLD PREMIERE OF KPOP, Book by Lab Member, Jason Kim, Begins! New York, NY, July 12, 2017—Ars Nova “one of NYC’s most adventurous Off Broadway companies” (New York Times), in association with “the foremost incubator of new Asian American theater in the country” (Obie award) Ma-Yi Theater and Woodshed Collective, “the exceptional theater company” that turns “spaces into intimate vortexes of wonder” (Gothamist) presents the world premiere of KPOP, a high-octane immersive event that gives you a backstage pass to a K-pop music factory. KPOP is here and America will never be the same. Claim your exclusive, all-access pass and immerse yourself in the Korean Pop music factory where stars are made… or broken. 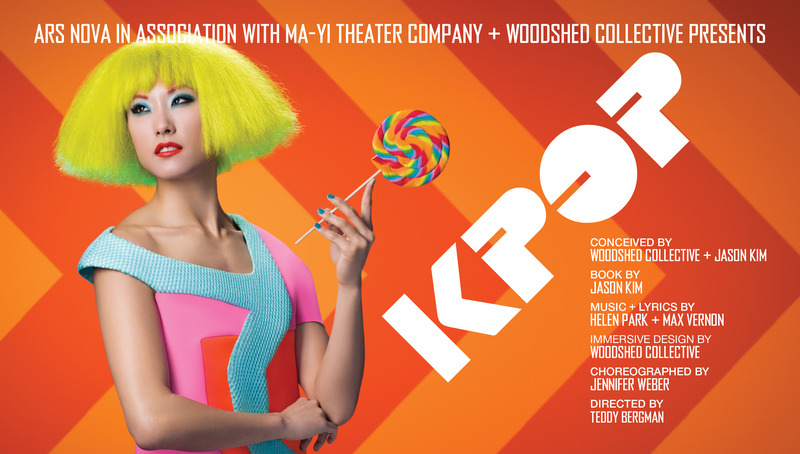 KPOP was conceived by Woodshed Collective and Ma-Yi Writers Lab Member, Jason Kim (The Model American, HBO’s “Girls”) and features a book by Kim, music & lyrics by Helen Park and Max Vernon (The View UpStairs), an immersive design by Woodshed Collective, choreography by Bessie-nominee Jennifer Weber (The Hip Hop Nutcracker, TruTV’s “Face Off”) and is directed by Teddy Bergman (Empire Travel Agency).